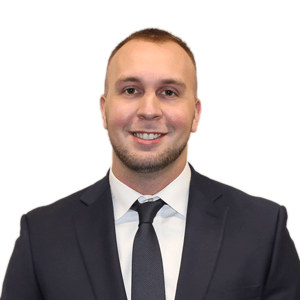 Sam Craven is a Search Consultant with Alliance Search Solutions, a nationally-focused retained and contingency search firm that serves a variety of clients and industries. By utilizing his communication and strategic problem solving skills, Sam has had a successful track-record of recruiting in the areas of Sales, Operations, Supply Chain, and Engineering. He feels the key to helping businesses and candidates achieve their goals, is by taking the time to fully understand each parties long term growth objectives and then making matches accordingly. Prior to joining Alliance Search Solutions, Sam spent several years in B2B Sales providing building services to companies across multiple industries. Working with a diverse portfolio of companies provided Sam with a well rounded understanding of operational challenges companies face today and the skillset to identify effective and long term solutions. Sam holds a Bachelor’s Degree in Communications from Ohio Northern University.